Jennifer Lawrence attends the "Red Sparrow" New York Premiere at Alice Tully Hall at Lincoln Center on February 26, 2018 in New York City. Jennifer Lawrence perfected her look with a pair of emerald drop earrings by Lorraine Schwartz. 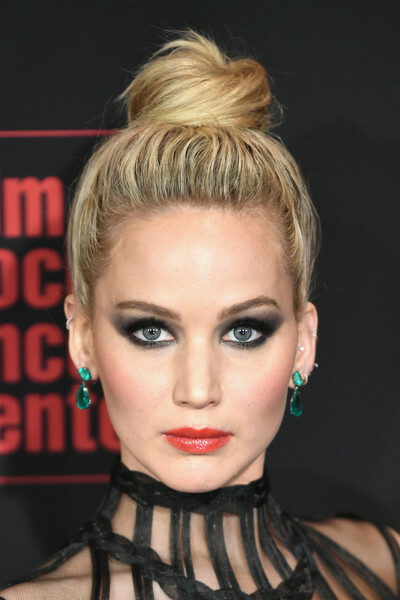 Jennifer Lawrence vamped it up with a super-smoky eye! Jennifer Lawrence went bold with her beauty look, pairing her heavy eye makeup with a glossy red lip.